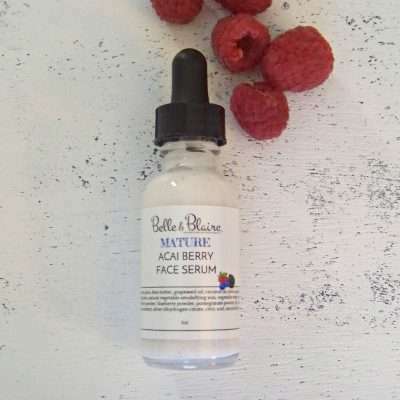 Acai Berry Face Serum is packed with the following super fruits: acai berry, bilberry, pomegranate, and blueberry. 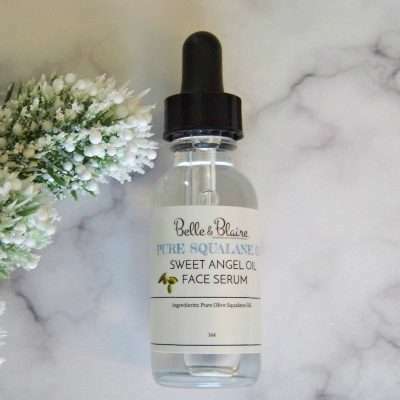 This face serum has an abundant amount of antioxidants that contain anthocyanins, polyphenols, vitamins A, C, and E. Pro Vitamin B, Olive Squalane, and Green Tea Extract are also added to make this an effective and well rounded product for intense nutrition for the skin. This formulation is a light cream serum that penetrates and moisturizes the skin; it has a natural pale berry color and light berry scent. 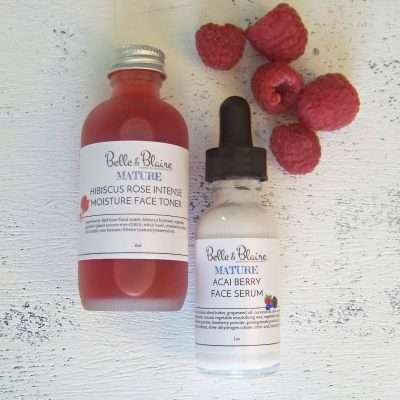 Made with all natural and organic ingredients, Acai Berry Hibiscus Rose Facial Duo is great for mature and aging skin that can use a stimulating refresh. The active ingredients in acai berry and hibiscus rose contains antioxidants and amino acids that gives a Botox effect that stimulates aging, dull skin. The serum formulation is a light cream serum that penetrates and moisturizes the skin along with the gentle facial toner. This skincare set boasts a pleasant, all natural fruity fragrance that is free of synthetic fragrance oils that can irritate the skin. We recommend applying the serum and toner as a skin primer before makeup application. Skin Food Anti-Aging Face Cream is a mature skin cream made up of pure natural ingredients that delivers superior moisture and a renewed glow to the skin. This special cream will help reduce the appearance of fine lines and wrinkles. Sweet Angel Oil is made with 100% all natural Squalane oil. Squalane oil is high in anti-oxidants and have anti-bacterial properties to promote healthy and younger looking skin. This odorless serum absorbs into the skin well and when used daily it will help improve the texture of the skin, lighten freckles and even out skin tone. It will also help to protect the skin from sun exposure and heal sun damaged skin as well as reduce fine lines and wrinkles. The squalane contained in this multi-purpose serum is derived from the olives.